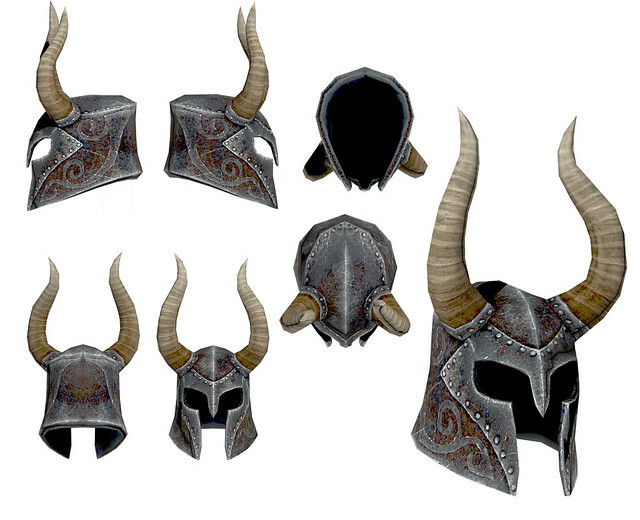 So I've been on a bit of a Skyrim kick recently. 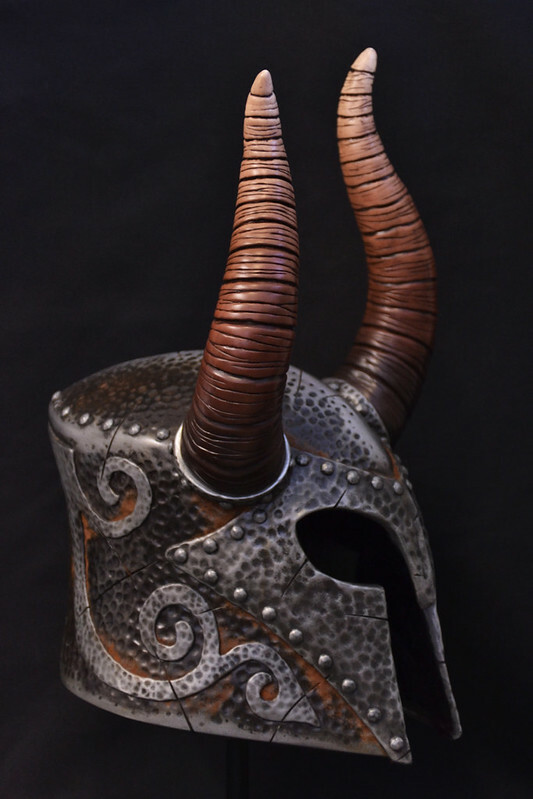 I've completed several projects from the world of Tamriel which will be popping up on this blog in the next few weeks, but the first one I'd like to feature from my latest build bonanza is the Helm of Yngol. 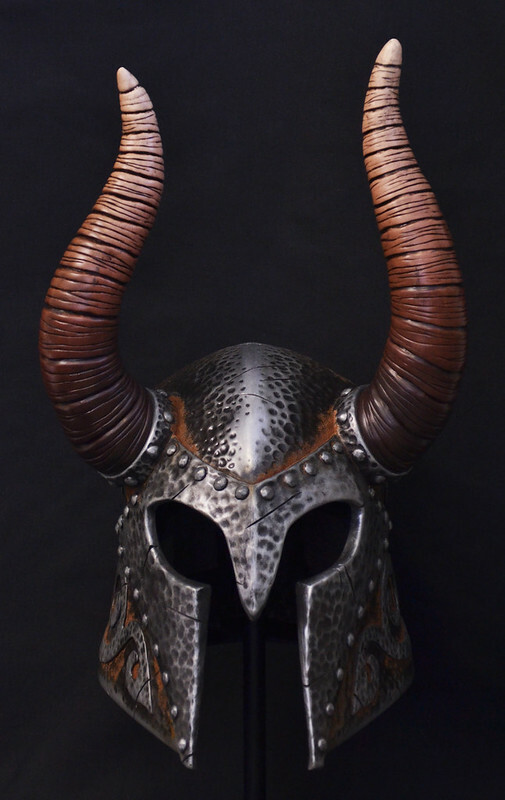 Originally the client who commissioned this piece was interested in getting the more standard Iron Helmet, but stumbled on this piece in one of the many caves in Skyrim and immediately changed his order! If you're interested in a more immediate recap, I ran a GoPro camera in my shop while this project was being built. 280 gigs of video and a full day of editing later, you can watch the entire process in less than 4 minutes! 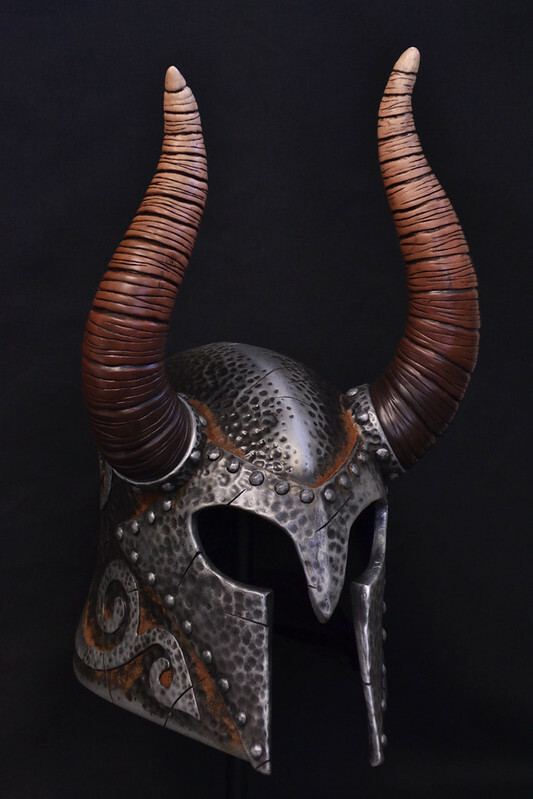 The process here is very similar to my other helmet builds, most notably the Female Draugr/Ancient Nord Helmet I completed earlier this year. 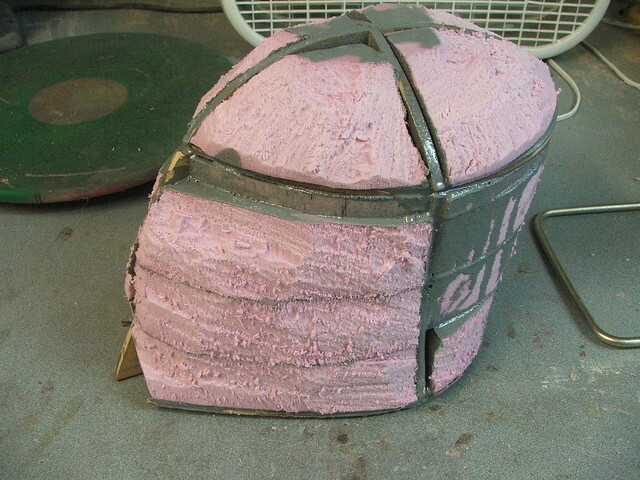 A basic frame was constructed from 1/4" MDF and filled with blocks of insulation foam, which were carved into a rough shape. 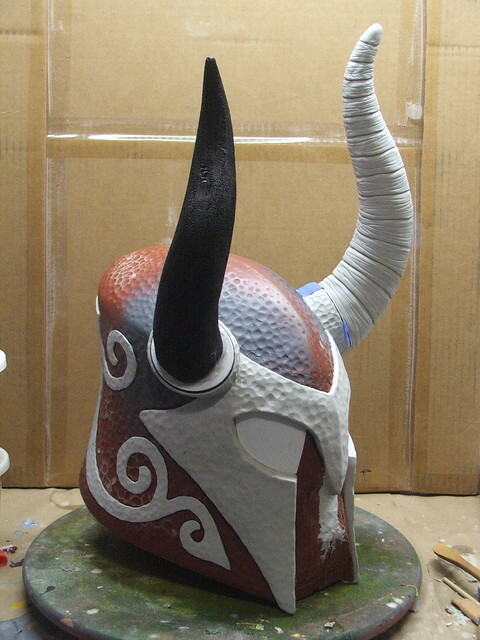 The basic form was then painted with acrylic paint. 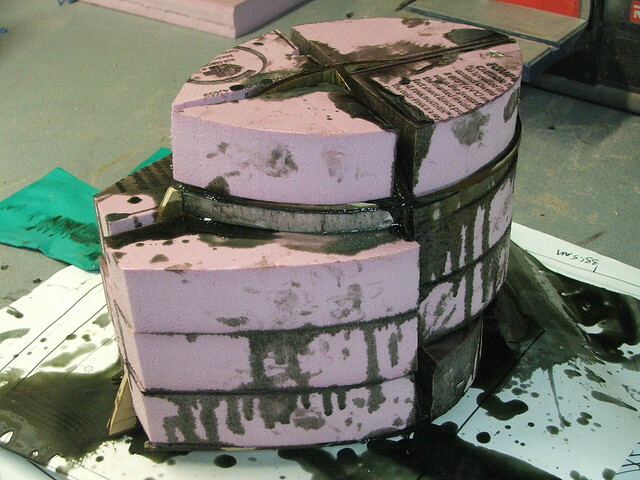 This is a barrier - the extruded polystyrene insulation foam is very solvent sensitive, and the bondo process in the next steps would dissolve it if not for this coating. 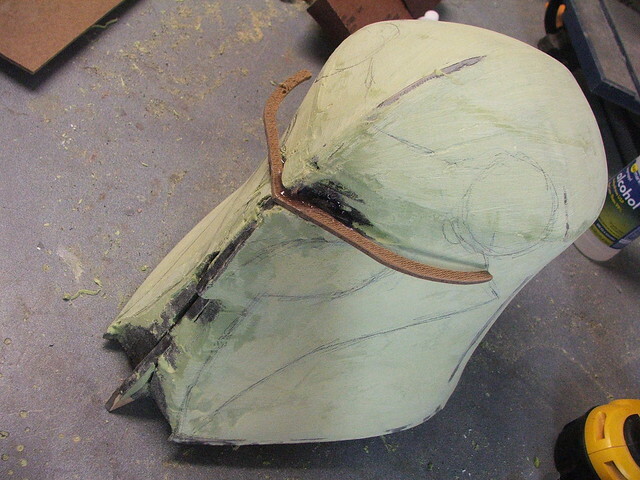 There were several coats of polyester filler used to build up the shape and make things symmetrical. The green stuff in these shots is "Rage Gold" by Evercoat. Sands very smoothly and spreads evenly too. 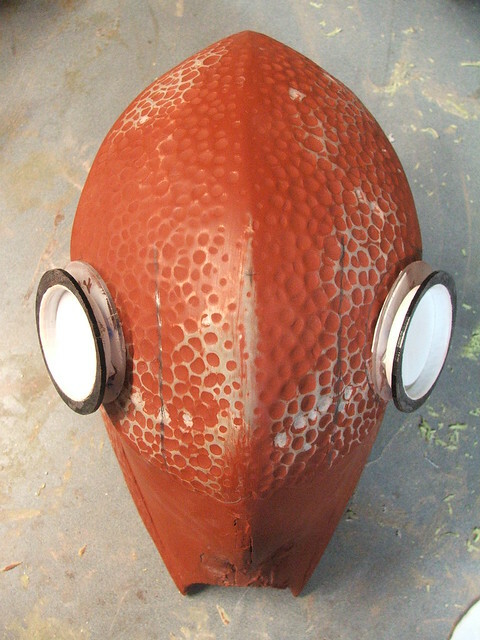 A little while into the sanding process, I noticed that the brow section was far too narrow. 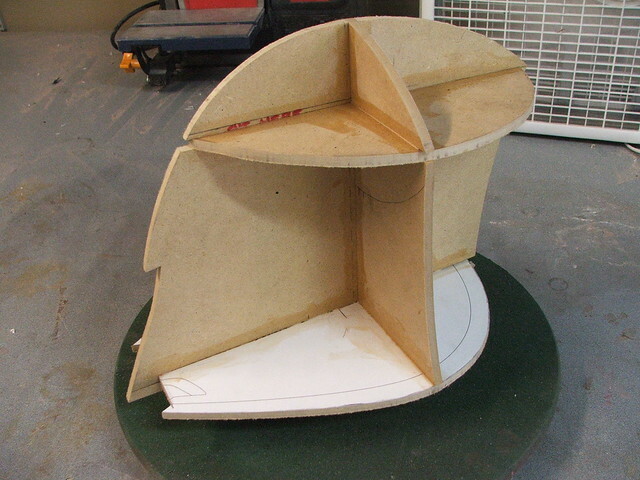 Using my blueprints, I traced out the brow section and transferred it onto some 3/16" masonite. The gap below this was then filled with some florist's foam. 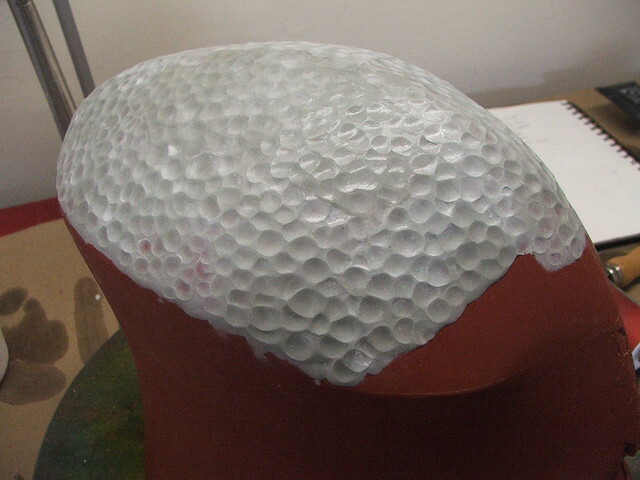 Florist's foam is less reactive to solvents, so you can spread polyester filler directly on top of it without the acrylic coating needed on the pink foam. Couple sketched lines to get the feel of where things are going. Getting better! 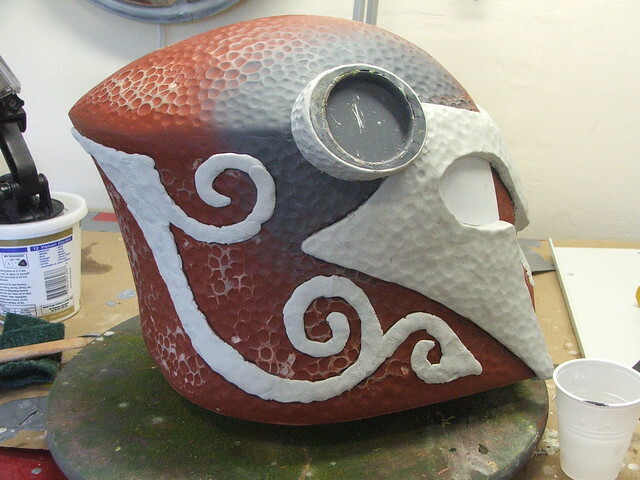 The shape was refined and smoothed with coats of filler primer and thin passes of more filler until the shape was sufficiently smooth enough. 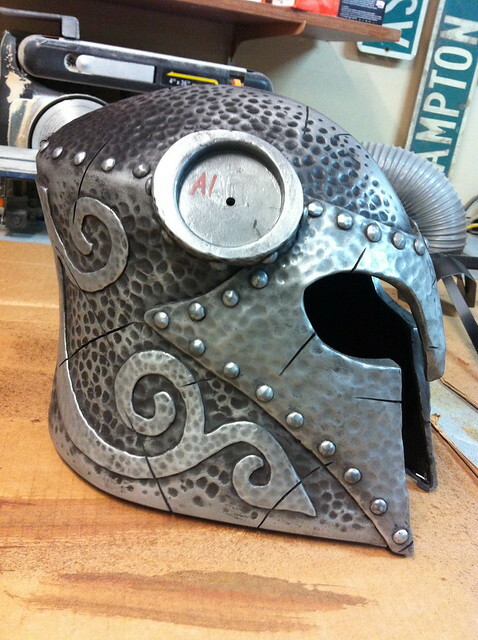 In the Female Draugr helmet, I took a dremel and carved out each "hammer dent" individually. 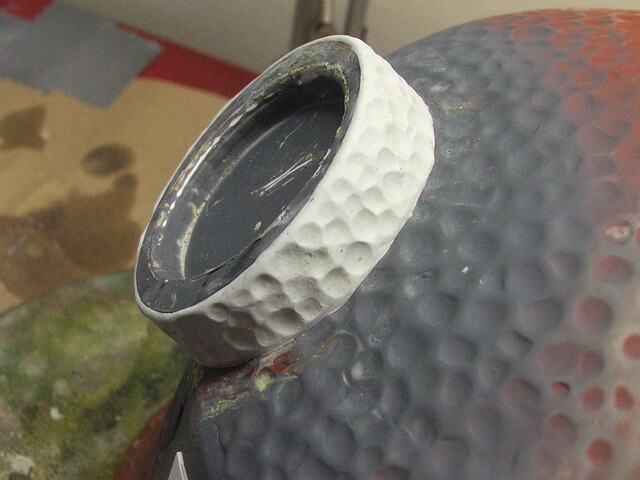 Despite this being handmade, the end result still looks somewhat uniform and more than one person has likened the surface appearance to a golf ball. For Yngol, I took a different approach. 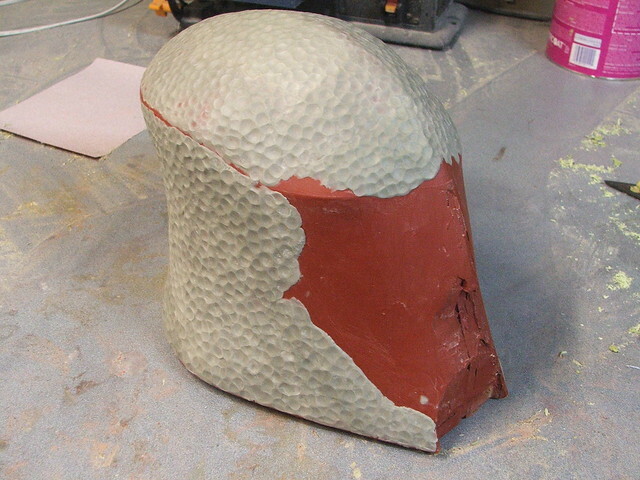 The finished surface of the helmet was covered in a very thin layer of apoxie sculpt (about 1/16" thick) which was then dented repeatedly with the backside of an engraving tool. 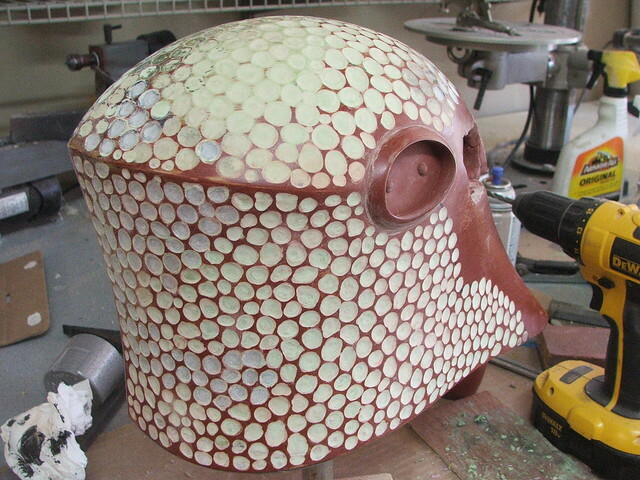 This made the final surface much more random in pattern and depth and didn't take nearly as much time as the dremel method from before. 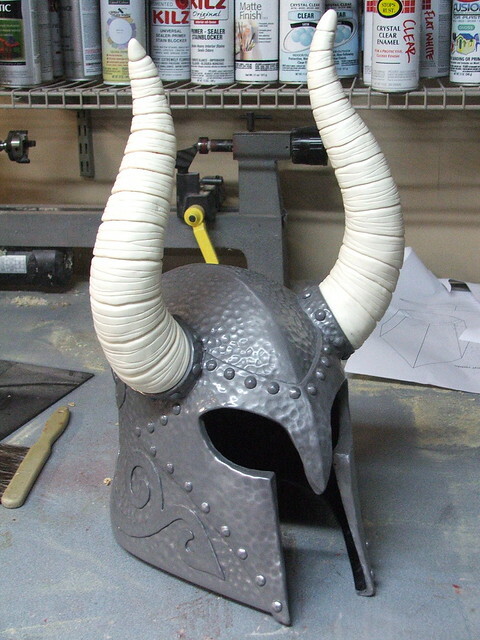 After completing the hammered texture, I attached the horn bases. 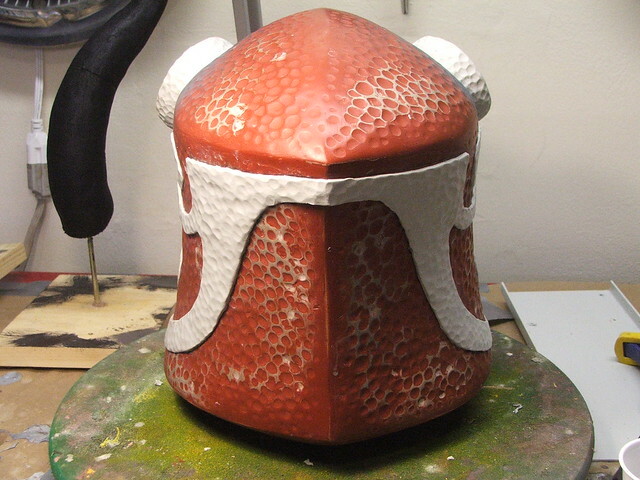 These started out as vacuum formed styrene discs with acrylic rings glued to the helmet sides. 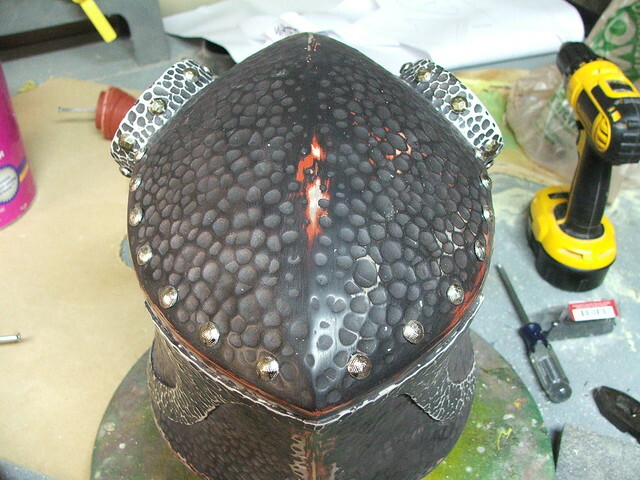 After securing them in place, they got the same apoxie sculpt and hammered texture as the rest of the helmet. 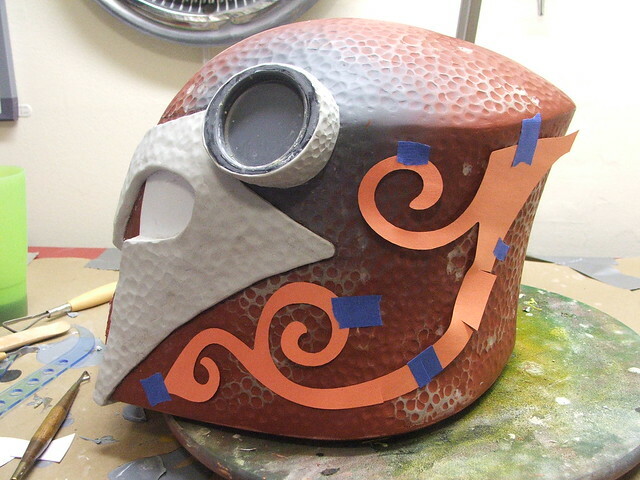 The face plate section came next. 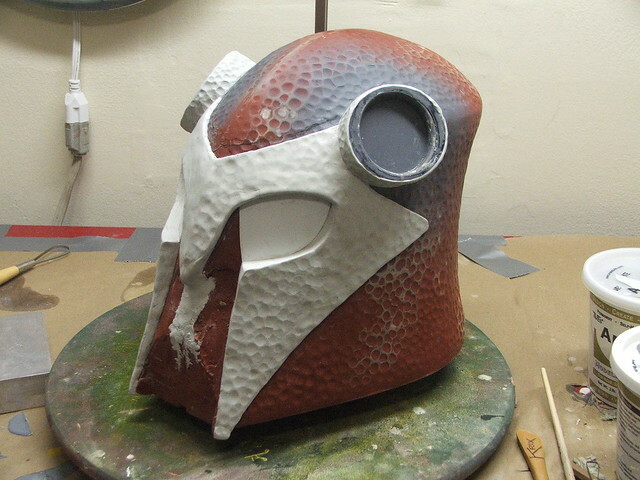 Styrene eye markers were trimmed out and glued to the helmet base as markers for where the sculpted elements needed to be positioned. I don't recommend the white apoxie sculpt to anyone looking to have clean, crisp details. I happened to purchase the wrong kind when shopping for sculpting supplies and my distributor is an hour from my house, so I was kind of stuck with it. The white apoxie has a more "fluffy" quality to it and won't take an edge or very sharp detail well. In my opinion, the "natural" color is much better. 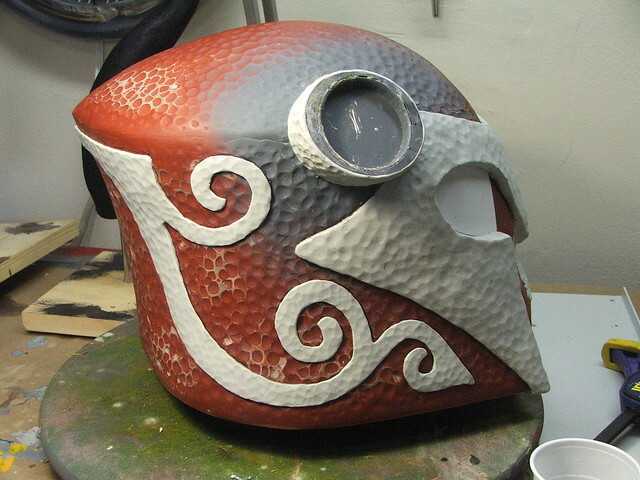 After a lot of shaping with clay tools and a bunch of water, the faceplate was textured and left to cure overnight. 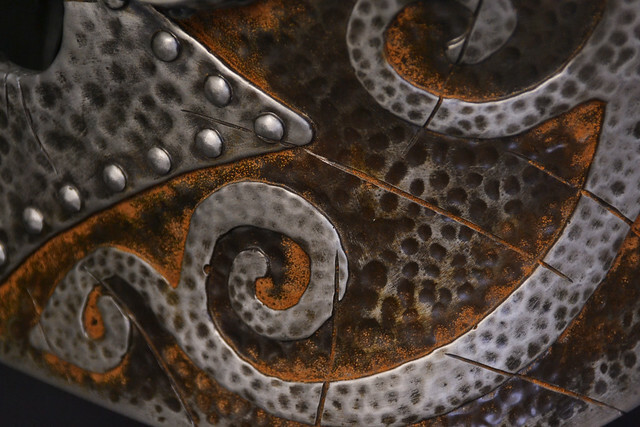 The side filigree received a similar texture. 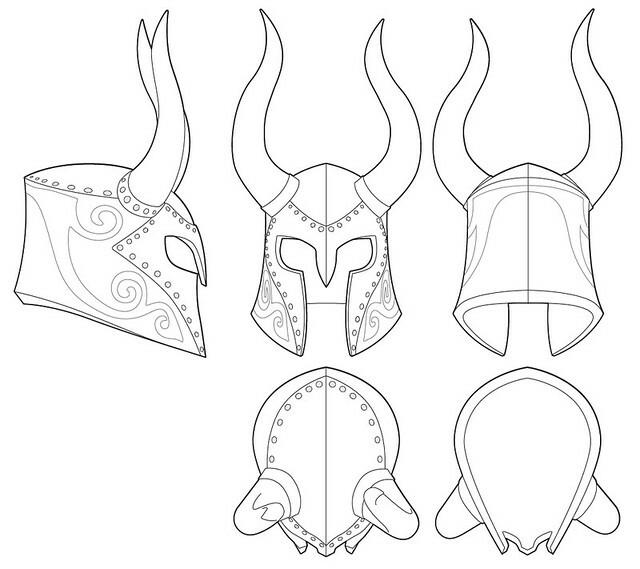 I trimmed out the pattern from some construction paper in order to transfer it to the helmet shape. 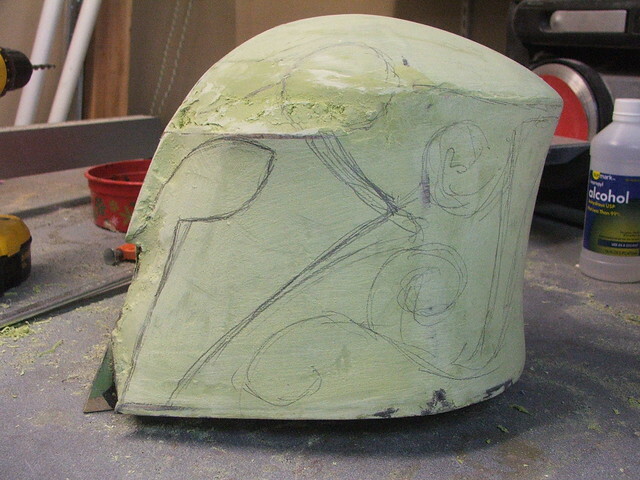 This also made sure the trace lines on the left and right sides were as identical as possible. 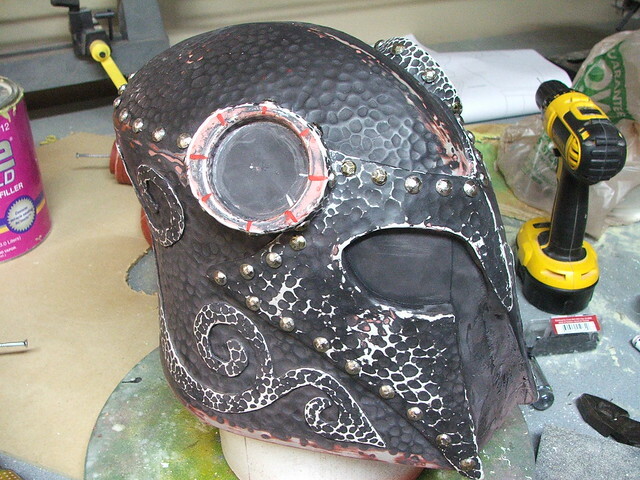 And cleaned up, with hammered texture finished. Next up (and again, I was just trying to burn through the white apoxie sculpt at this time, hence why I'm being sort of liberal in using it!) 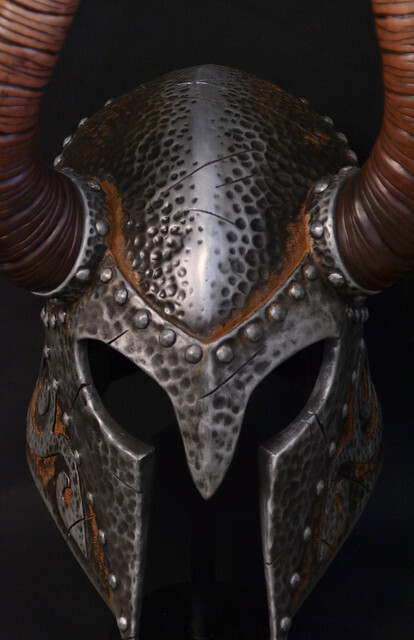 were the horns. 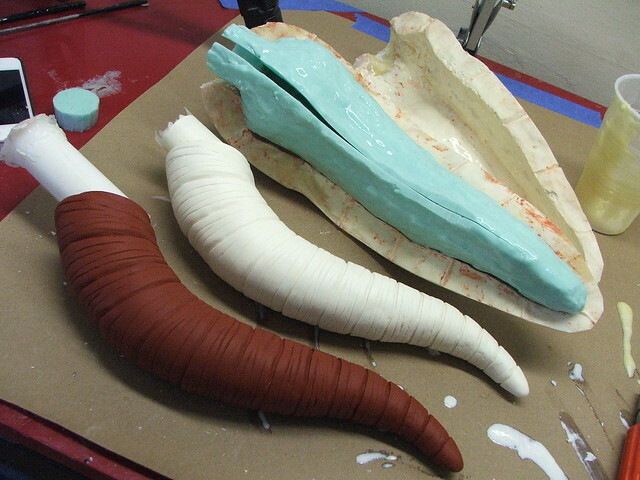 These have a polystyrene foam base and are skinned in apoxie sculpt. 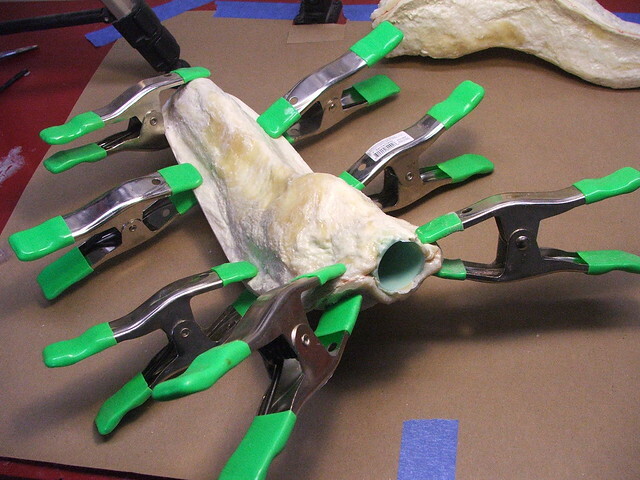 Their base is an acrylic disc, which allows them to fit into the plug on the horn base. 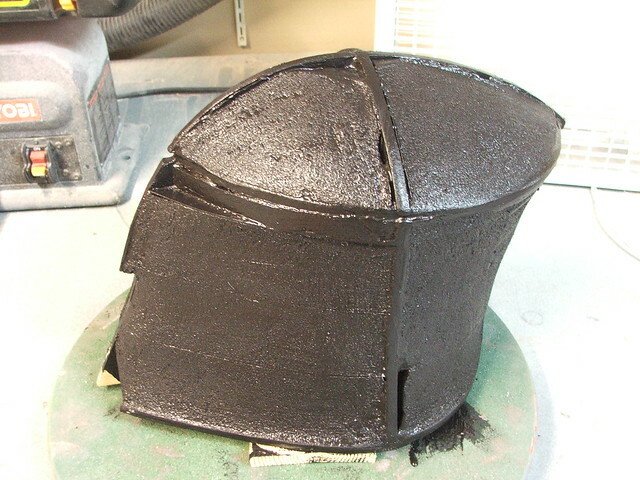 These needed very little sanding after a coat of filler primer. 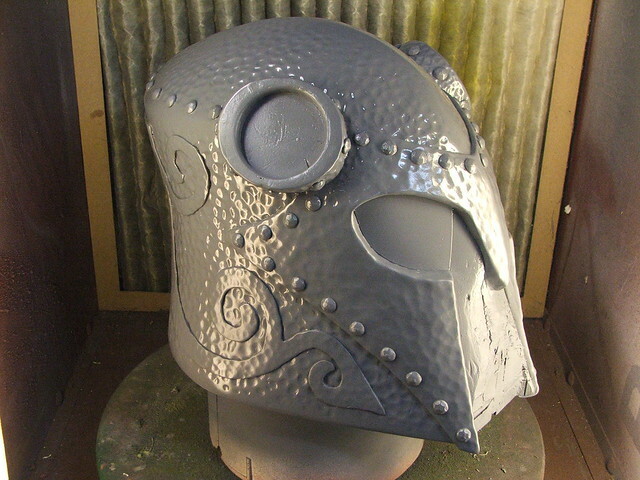 The helmet was painted in primer to spot any small issues that still needed filling/sanding, then the rivets were added. These are 3/8" furniture tacks, and there's over 50 of them in this thing. 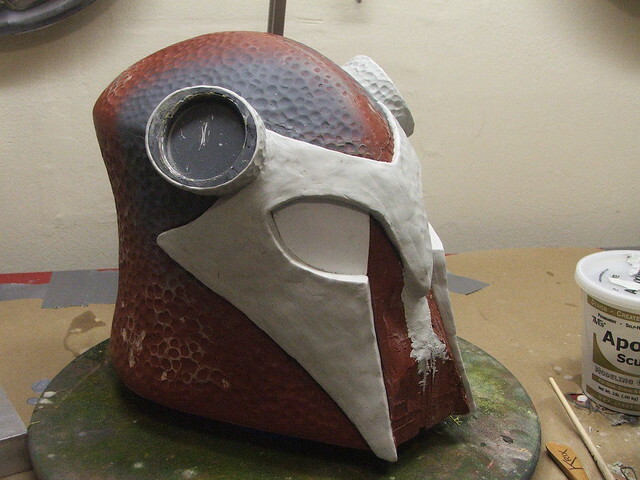 A coat of primer, then a coat of gloss enamel, and it's ready for mold making! 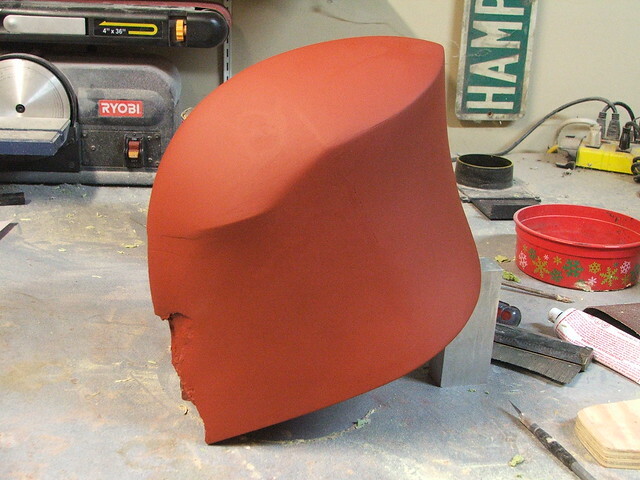 I don't have many extensive steps of the print coat/thickened coats here - if you're more curious about the finer points of molding a helmet, check out my Daft Punk Thomas helmet write up for more details there. 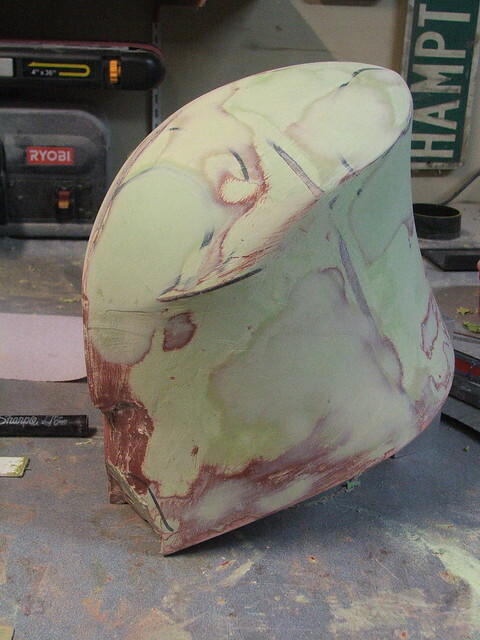 The material used on this helmet is Rebound 40 - thicker than what I typically use, but I wasted to try something new. 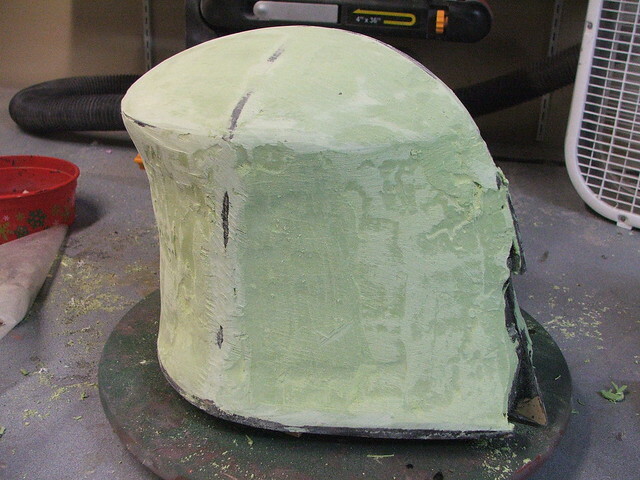 The horn molds are one piece with a slit up the inside in order to demoed the finished casting. 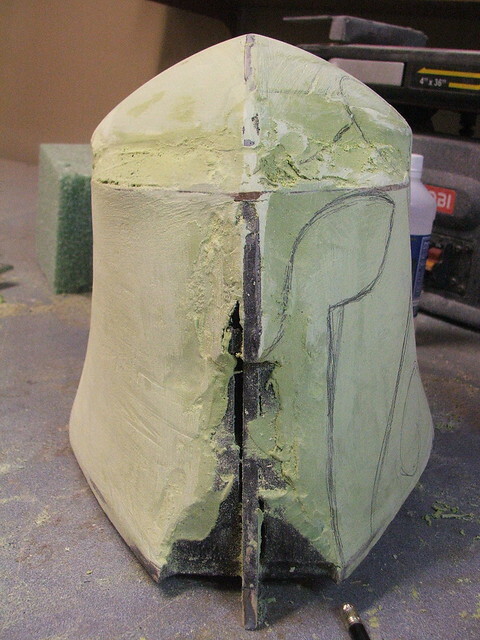 This slit in the silicone is situated on a thickened channel to help make sure the two sections register properly when the mold is assembled. 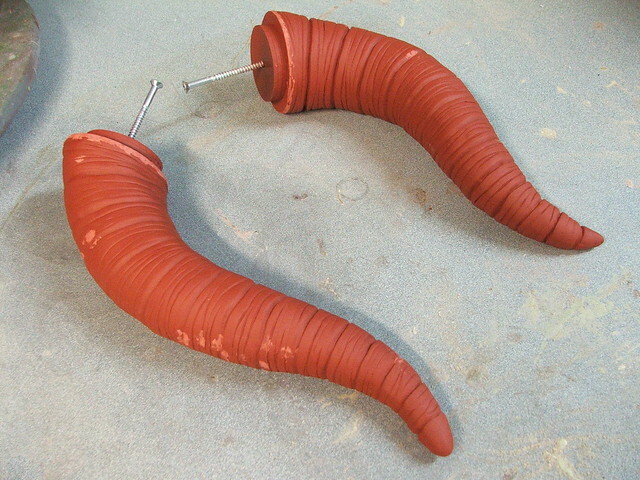 The horns themselves are cast in a thin coat of Smooth Cast 320, then filled with expanding foam in order to keep the weight down. 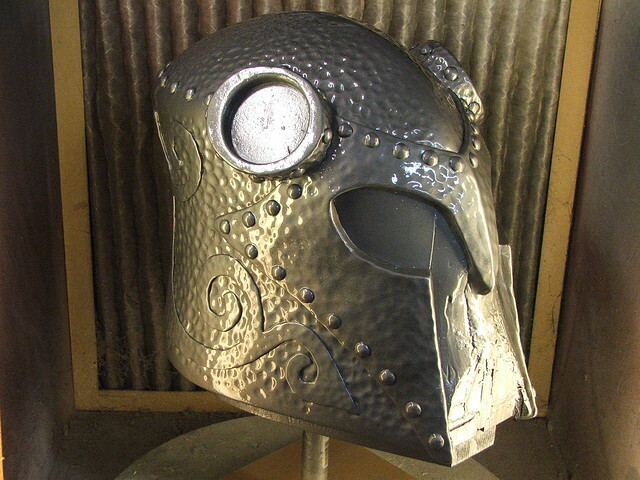 The helmet itself is cold cast in aluminum powder with Smooth On's ONYX resin. 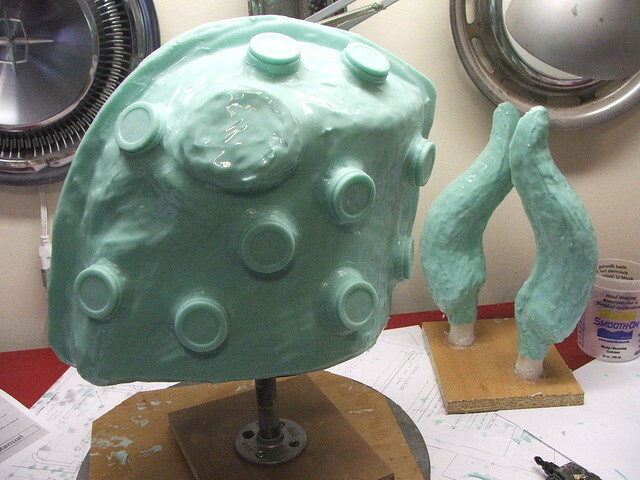 Cast parts trimmed and assembled! 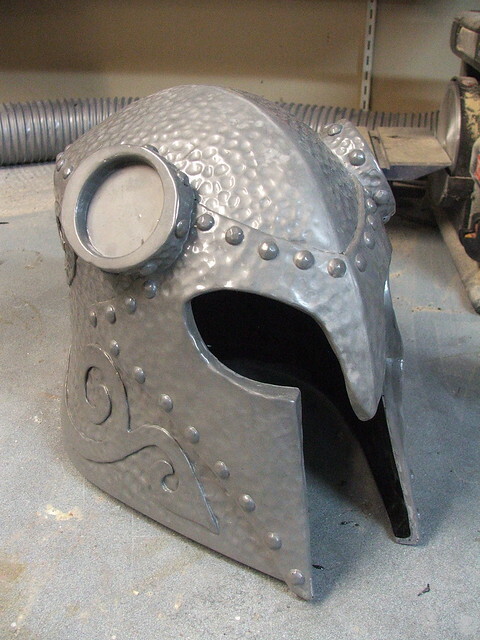 Cold casting powders allow you to buff the surface of your casting with fine grit steel wool in order to get a metallic shine. 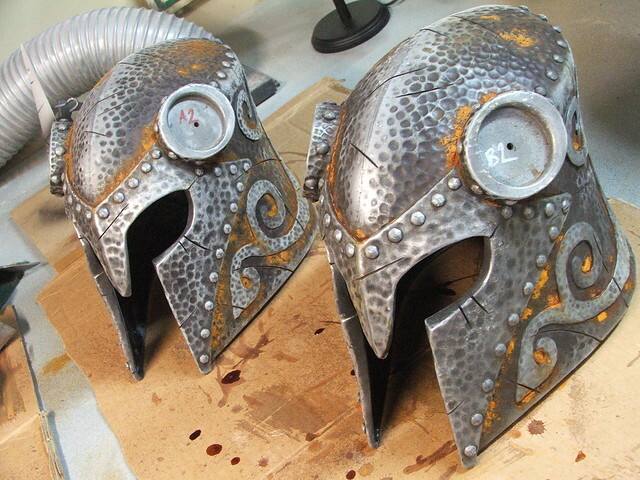 The helmets (I made 2) were buffed with 000 steel wool, then I added gouge marks and other lighter damage with my dremel tool. 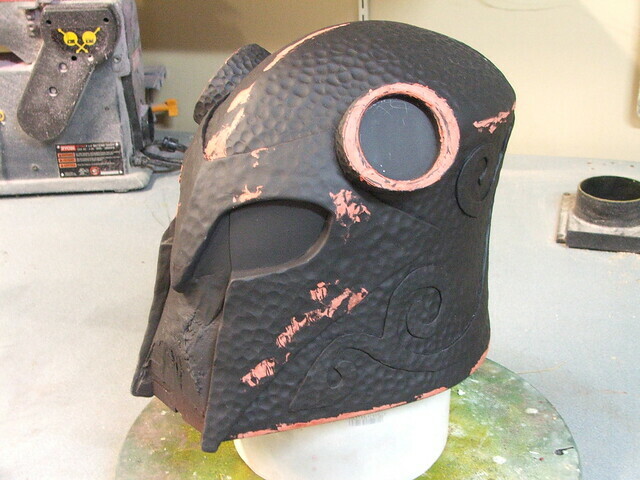 Weathering these pieces was a mix of acrylic airbrush washes in black and various browns, followed by some heavier brush painted acrylics in the seam lines. 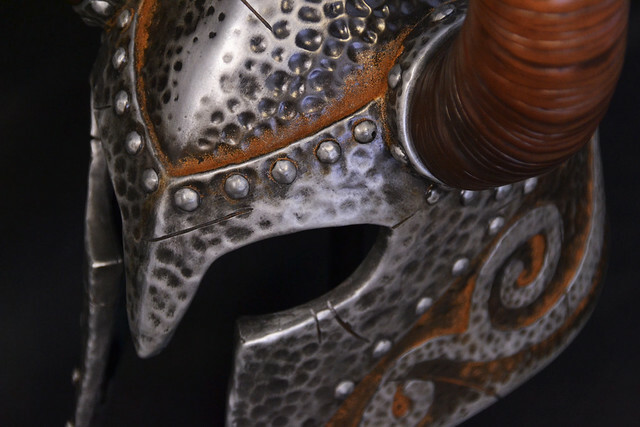 The helmets were rusted with ferrous iron powder. This was sprayed with a mixture of vinegar, hydrogen peroxide and salt, then left to cure overnight. 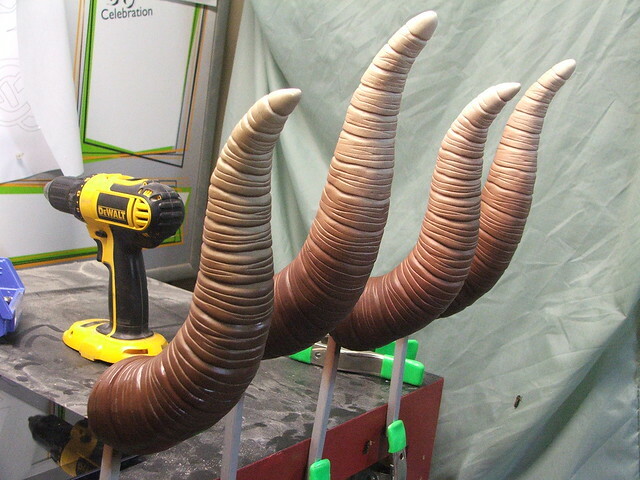 The horns were painted in a gradient using an airbrush and three different mixtures of brown. 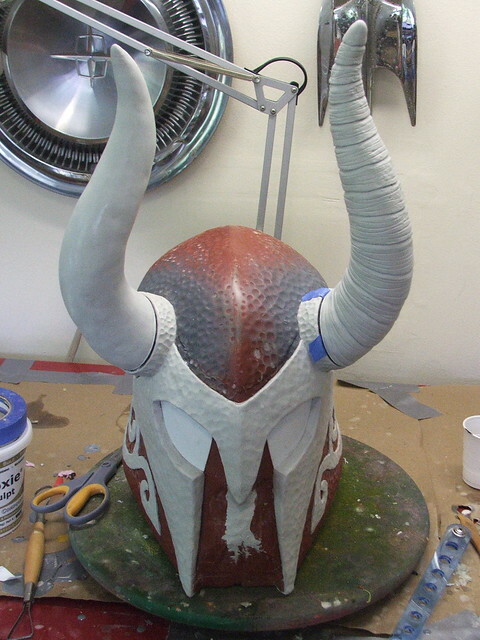 The base color of the 320 resin - an off white - meant I did not need to base coat the horns after sanding the castings. 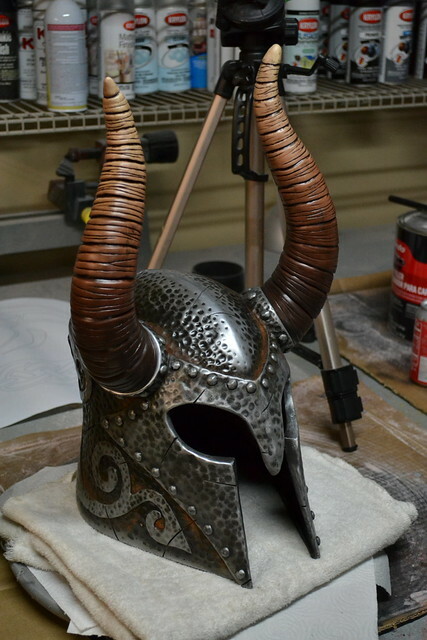 A few coats of clear later to protect the finish and weathering, and the project is complete! 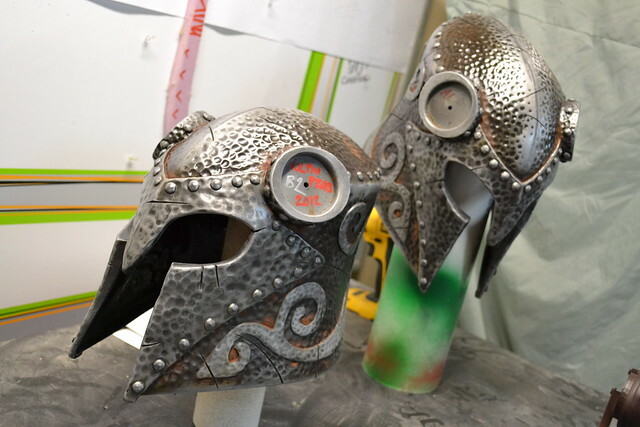 My client got the better of the two helmets - mine was a test piece and is actually a fair bit thicker than the final production piece. 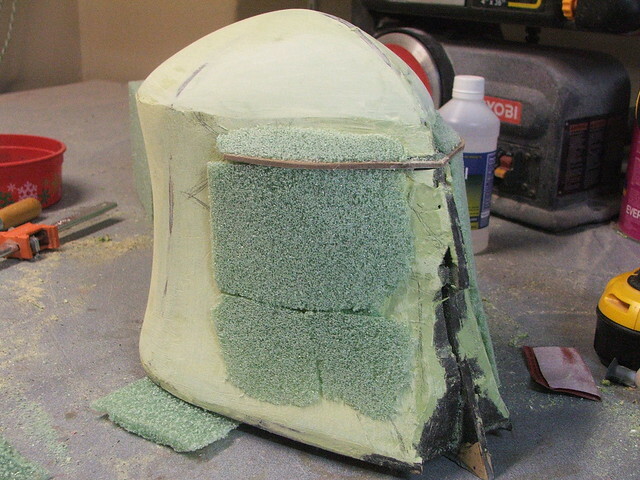 A few segments of thin foam squares pad the inside of the helmet to the proper height. 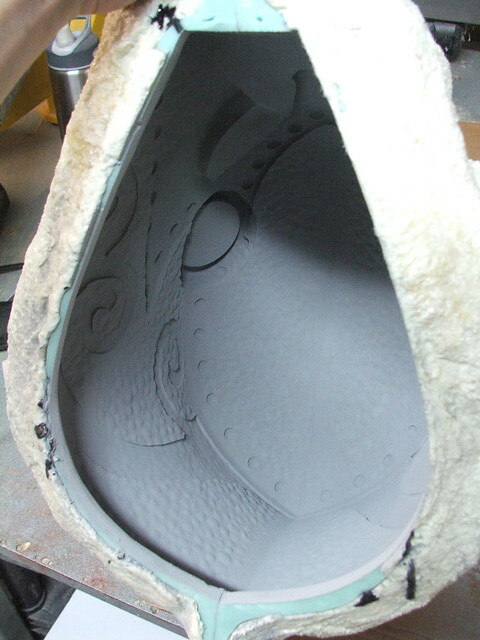 More pictures of the process are available on my Flickr page. 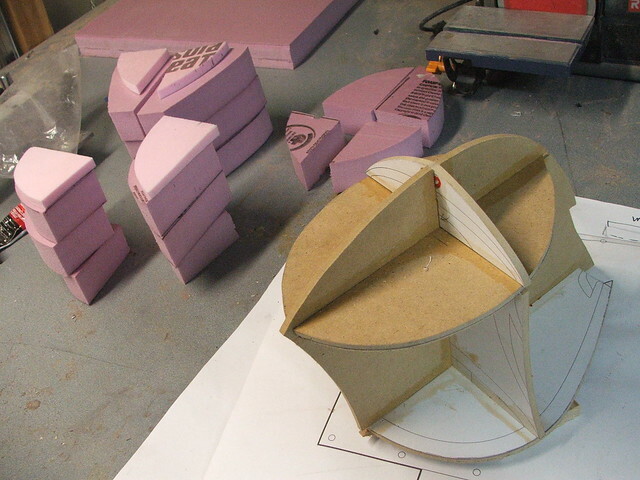 If you're interested in seeing daily updates of my projects as they happen, then please stop by my Facebook and subscribe! Amazing! Thanks for sharing the project details. I am sure someone out there will use the info to work on their own projects. VERY cool! Please, keep 'em coming! Than is an awesome gift you have! Awesome work, but can I ask how come you can sell that? 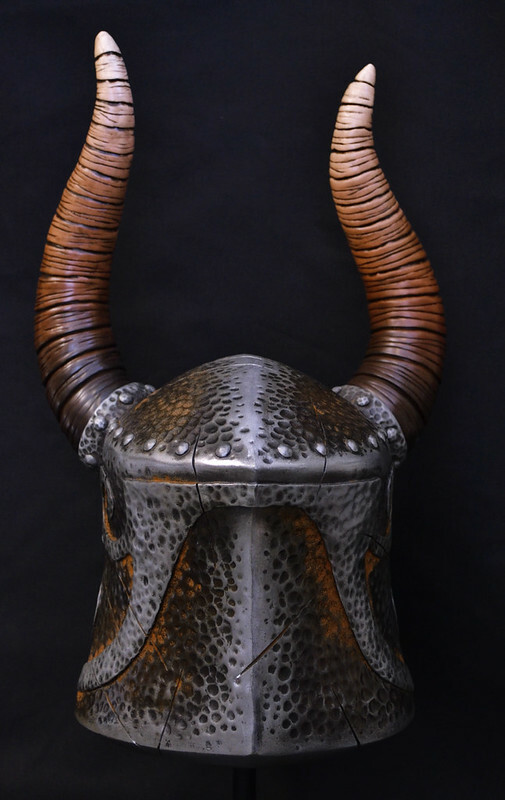 I mean this is bought less for the craftsmanship and more cause its a thing from Skyrim...just curious, do you ask Beth for permission or something or do you just do your thing and hope that you don't receive a cease and desist letter? I'd love to sell prints of my game inspired artwork but i was under the impression that i can't do that..
Once again you blow my mind! MAKE A DEADMAU5 HEAD PLEASE !!! @volpin: Again, impressive craftsmanship. 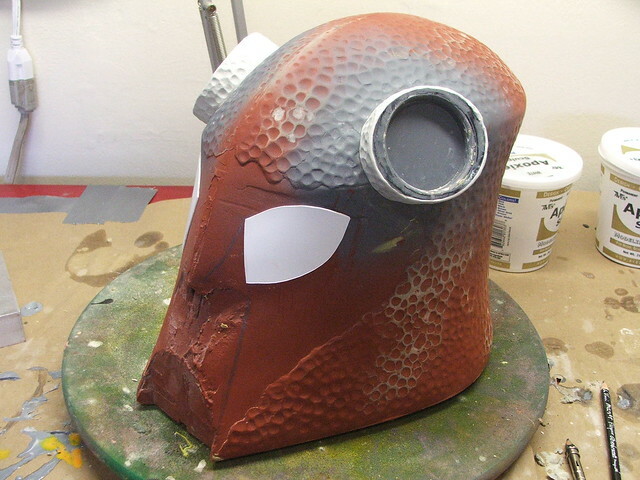 I'm hoping to break into prop building as a hobby. 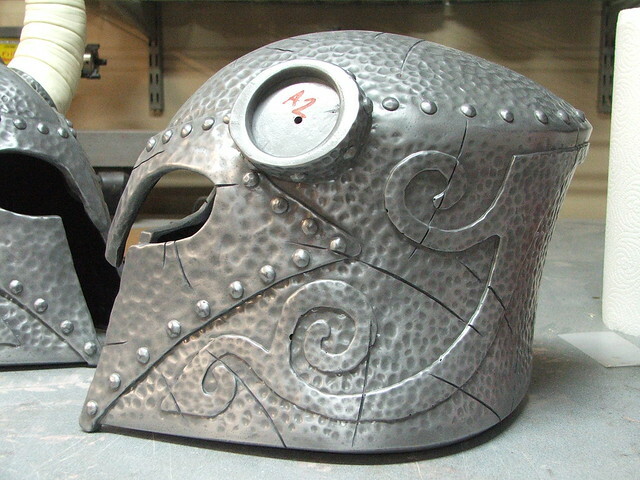 could i order a helmet from you? Have a store or how can I order one.